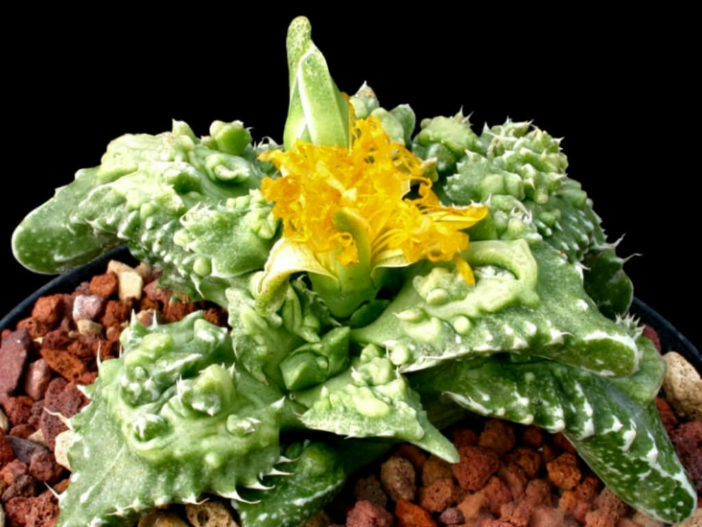 Faucaria felina subsp. 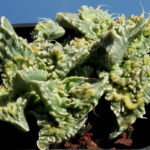 tuberculosa ‘Super Warty’ is a low growing, clump-forming, perennial succulent, with large bumped and tangled tubercles or warts, looking like a strange, green marine creature. Also, the petals of the flowers are bent out of the normal shape. The flowers need full sun to fully open and often don’t open at all if the weather is cloudy or if they are in shade. The various species make excellent pot subjects and have been cultivated in Europe for over 300 years. 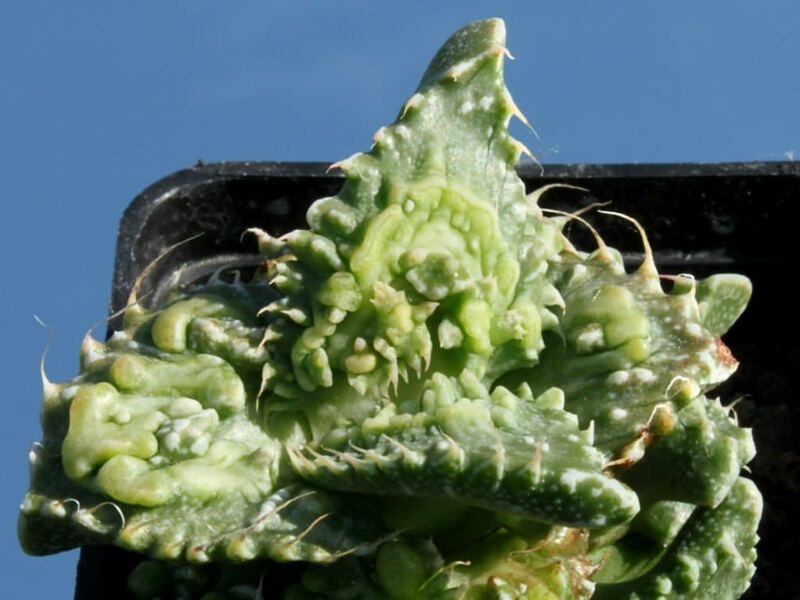 Some species, such as Faucaria tigrina, are quite hardy, while others can be prone to stem rot. Faucarias are mostly spring and fall growers. They need good drainage but with a little shade they will do just fine even with extreme heat, although they do stop growing then, and they need water every few days. 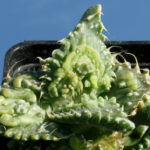 When they lack water, as many other mesembs, the stems die and some of the rosettes are not connected to the roots by any living tissue. 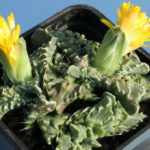 When found in time, the rosettes can be used as cuttings and keep in the shade in a barely moist medium until the temperature cools down in the fall. 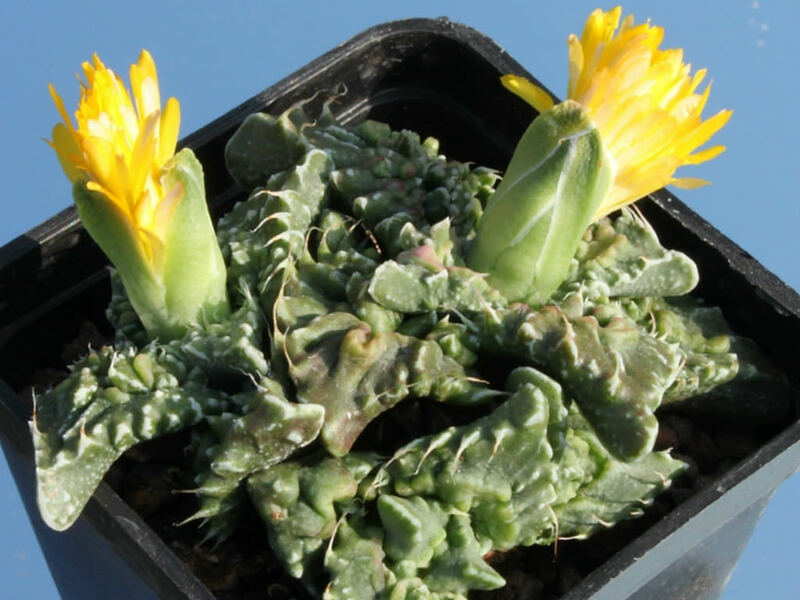 Faucaria felina subsp. 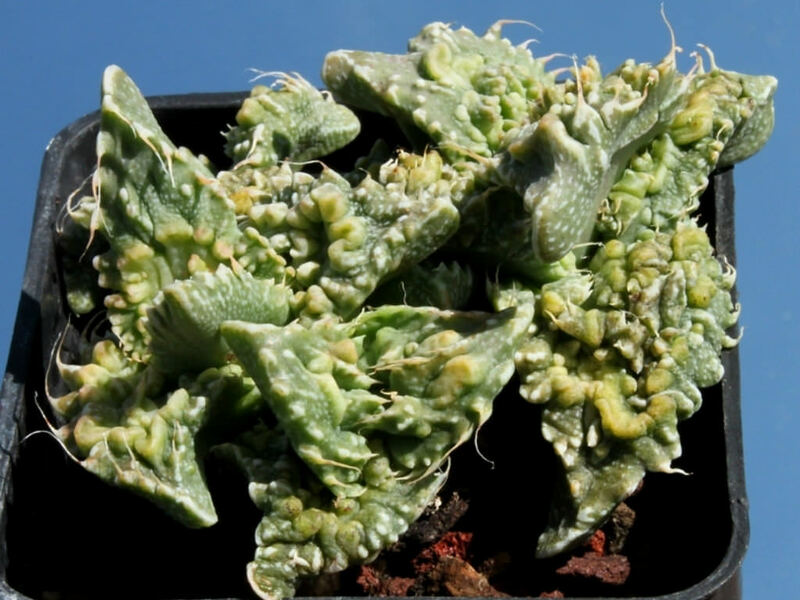 tuberculosa ‘Super Warty’ is a cultivar of Faucaria felina subsp. tuberculosa.